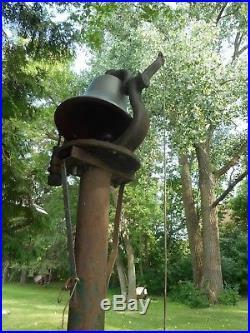 Bell was on Locomotive #3253 and ran from 1920 and retired in 1954. Documentation from the locomotive foreman goes with the bell. 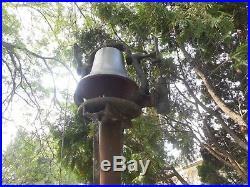 The item "Antique BRASS/BRONZE LOCOMOTIVE BELL GREAT NORTHERN #3253 TYPE 2-8-2" is in sale since Thursday, July 19, 2018. This item is in the category "Collectibles\Transportation\Railroadiana & Trains\Hardware\Whistles, Bells & Horns". 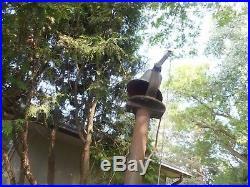 The seller is "17sjohn" and is located in Chisago City, Minnesota.